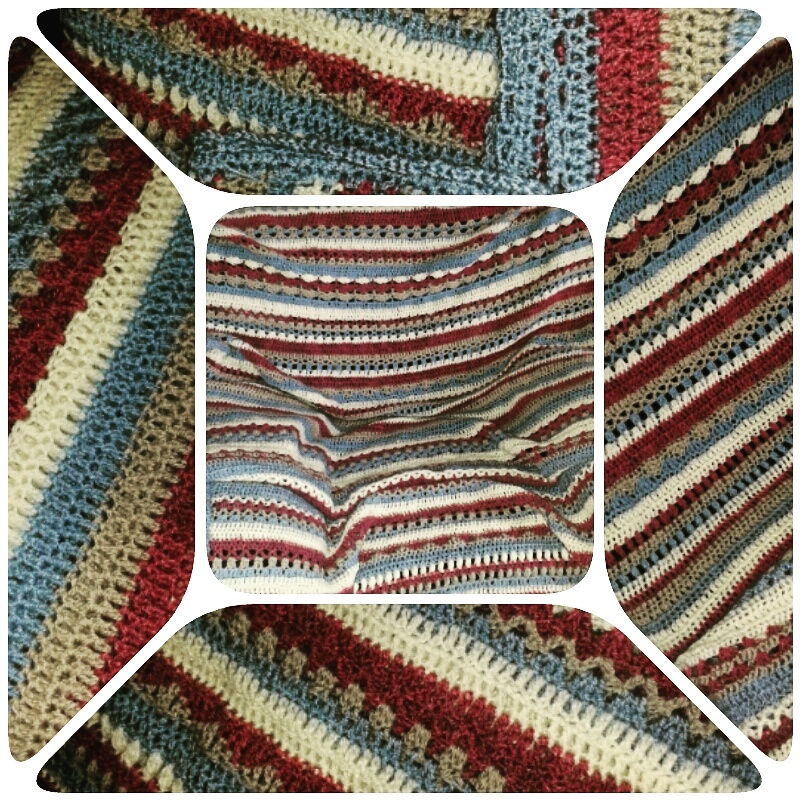 Back in September I was invited to a 'crochet along' Facebook group by Lesley from Black Sheep Wools (you may remember I reviewed one of their pattern books a while back which turned into a blanket project for my grandchildren) . I had no idea what a 'crochet along' was but it was exactly the right time for me to start a new project, especially one that would force me to complete it in small doses. This pattern was designed by Sandra from Cherry Heart and the idea of a 'crochet along' is that the pattern is released in sections presumed to take an allotted amount of time (in this case, each section was released on a weekly basis). A couple of hours crochet time each evening, or a bit more at weekend, has kept me occupied and out of mischief for the past six weeks or so.